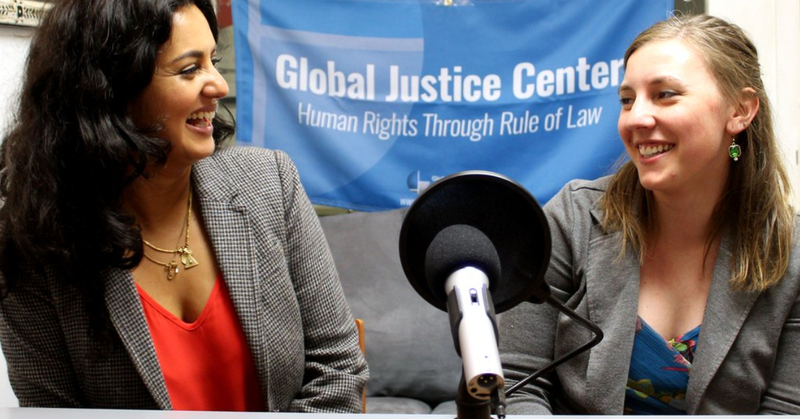 In this episode of That's Illegal, GJC President Akila Radhakrishnan and Legal Fellow Kristin Smith discuss the United States' policy of refugee detention at the border, Trump's executive order on family separation, and how it all fits in the context of international law. In this episode of That's Illegal, we sat down with our partners Naw Hser Hser and Mu Gloria from the Women's League of Burma to talk about their work on the ground and their recent experience attending the UN's Commission on the Status of Women in New York. [New York]– On International Women’s Day, the Global Justice Center stands with women and girls raped in conflict. As a direct result of the abortion restrictions the US puts on its foreign aid, including the Trump Administration’s expanded Gag Rule, women in conflict are regularly denied the medical care they are entitled to and need. [New York]– Today marks the one-year anniversary of the day when governments all over the world came together and created the She Decides initiative to combat the impact of the Trump administration’s expanded Global Gag Rule. She Decideshas raised over $450 million to date to support women’s sexual health and reproductive rights, however estimates show that the Gag Rule may impact over $2.2 billion in funding per year. In this episode of That's Illegal, GJC's Executive Assistant Merrite Johnson explains the process of requesting information from the US Government via the Freedom of Information Act (FOIA).